Inputting long codes off the backs of iTunes gift cards will soon be a thing of the past. Apple has debuted iTunes Pass allowing United States and Australian iTunes users to pour money into their accounts using the Passbook app. This lets customers refill their iTunes account balance without needing to buy physical gift cards or giving their credit card info over to Apple. Users can start using iTunes Pass by adding it to the Passbook app on their iOS device. Once activated, users can visit their local Apple retail store and inform a store employee they want to add credit to their account. The store employee will then scan an iTunes Pass generated code to deposit money into the account. The Cupertino company first debuted the program in Japan on July 14, but now it's making its way to more locations around the globe. According to iPhone Hacks, iTunes Pass has also gone live in a number of other countries including Germany, the United Kingdom and Canada. As Apple moves away from gift cards, iTunes Pass seems like a logical progression. 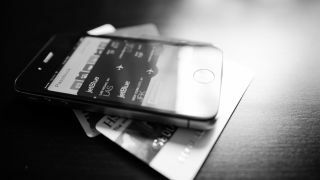 The feature could also be part of Apple's larger goal to create its own platform for mobile payments. A report from the beginning of the year found Apple was looking into allowing iOS users pay for goods and services using their Apple ID. A few days later Apple CEO Tim Cook also hinted that mobile payments could eventually be connected to mobile payments via Touch ID, Apple's fingerprint sensing technology which debuted on the iPhone 5S. Will Apple become future of health with the iWatch?